Scan the oral health aisle at your local drugstore or supermarket, and you’ll see many types of toothpaste that often come with different promises: whitens teeth, freshens breath, boost enamel strength. 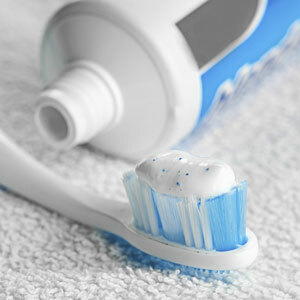 While everyone has a brand preference, we recommend that people use a nonabrasive toothpaste. A lot of people are using whitening toothpastes that may be abrasive, but we’re finding out more and more that a lot of those abrasive toothpaste brands—when used long term— lead to more notches or more abrasion areas. We recommend using a less abrasive kind without all those types of extras in them to help protect your teeth from further wear. As we don’t have fluoride in our water in Hawaii, we strongly recommend that you use a fluoride toothpaste as it will help you fight tooth decay. By regularly using fluoride toothpaste you will strengthen your tooth enamel which in turn will keep cavities at bay. When it comes to your teeth, that is. If you have sensitive teeth we recommend that you have a dental exam to make sure you don’t have any problems with cavities or other issues with the teeth that are causing the sensitivity. For those whose teeth are healthy but still have tooth sensitivity, we recommend using certain desensitizing toothpastes. These contains material that helps to desensitize the inner tubules of the teeth. The material protects against cold or heat sensitivity. Is it time for your next checkup? Call today to schedule yours!